Bar Elias, a village in the Beqaa valley, comprises 3,500 hectares and 35,000 citizens. The Litani River passes through the city of Zahle and enters Bar Elias. In Bar Elias, and other Bekaa villages, people used to drink and swim in the Litani River 20 years ago, according to the Member of Parliament Assem Araji. 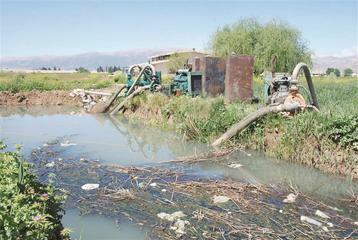 However, today factories and sewage lines are dumping all their wastes in the Litani stream without prior treatment. 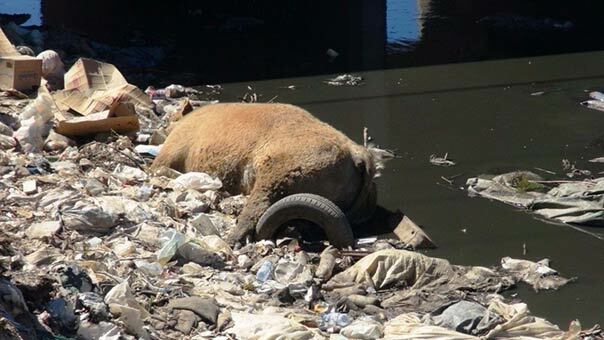 This has produced a problem affecting the lives of people in Bar Elias, who are suffering from diseases due to the pollution of the Litani River. Bad odors fill the area. Cancer rates increased dramatically in the last years. 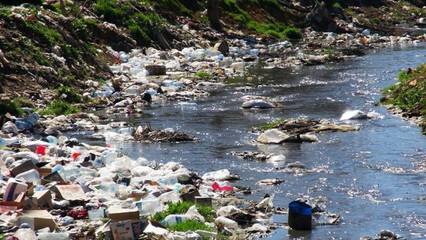 Consequently, people began to mobilize against the pollution in the village in Fall 2016 after the local organizations, clubs, and the National Committee to Save the Litani River called for action against the pollution. Different local bodies were organizing and mobilizing to pressure the government to find solutions for the Litani pollution in Bar Elias. In May 2017, citizens of Bar Elias and various organizations rallied together and established a new coalition under the name of “We don’t want to be killed by the Litani.” Zahle is the main city in the Beqaa valley. It is the home of dairy, construction, and chemical factories. Due to the absence of regulations and enforcement mechanisms, these factories dump all their wastes into the stream of the Litani. Moreover, no municipality has a sewage network that refines and treats the water. 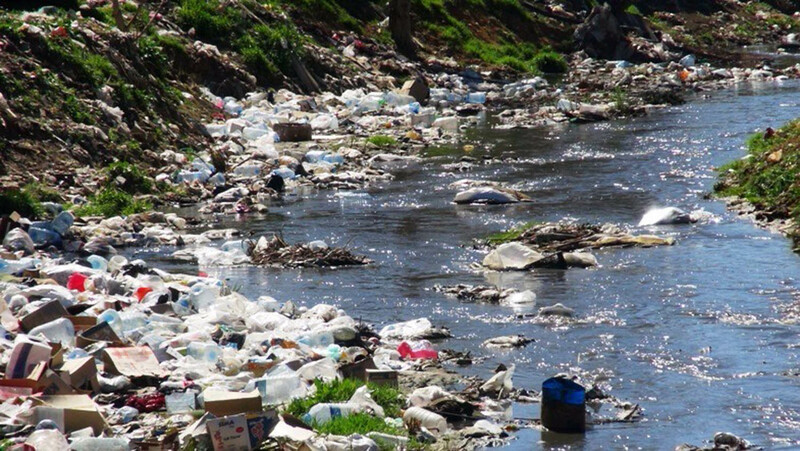 All household wastes go directly with all the impurities to the Litani River. Citizens of Bar Elias partially blocked the river stream coming from Zahle by piling dirt and muds. They wanted to pressure the government through connecting the citizens of Zahle with the citizens of Bar Elias in the suffering. After this step, the Minister of Environment visited the village on the 16th of May 2017 and promised to solve the problem as soon as possible. This was echoed by the Prime Minister a couple of days later, when he said, “The pollution of the Litani River has become a national cause, and the government has allocated large amounts of money for cleaning the stream of the river,” he added “many procedures have already started, and others are still on the way.” Nothing has been done. 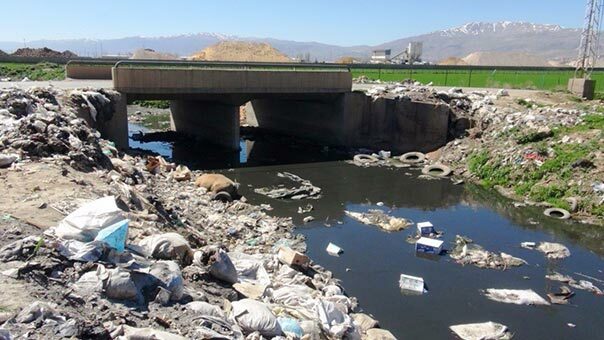 Project Details In order to resolve the pollution issue in Bekaa, multiple water refining plants should be built on the Litani basin. Bar Elias municipality is mainly affected by its own sewage, and the sewage coming from Zahle's factories and households. The Government has established a water treating plant in Zahle. However, it is not functional yet because it needs electrical power to work, and the government is not able to supply continuous electrical current. The Italian government donated to build the plant in 2003, and in 2017 it donated funds again to supply power generators. This plant is supposed to treat 20% of the total wastes dumped in the Litani River; the plant would treat 37,000 cubic meter of sewage each day when it functions. After the continuous protests held by the local citizens of Bar Elias, the government according to to some activists from Bar Elias and to a social media outlet that covers Bekaa news, the government provided four electrical generators for the water treatment plant in Zahle. The outlet posted on the 1st of July that the generators were provided by the Council of Development and Reconstruction (CDR) as promised by the Prime Minister. However, the date that the plant will start operating in is still unknown. When the refining plant starts functioning, the issue in Bar Elias will be solved partially until all other municipalities start their own refining plants and stop dumping wastes into the Litani River which affected the people of Bar Elias dramatically. Development of Alternatives The alternatives developed by the ejos, are similar to what the government has proposed but never applied. Ejos are demanding the government to clean the river, and operate the water treatment plants. Why? Explain briefly. Locals have been suffering from the pollution of the river for years now. The government supplied the main water treatment plant with four electricity generators according to General Mohamad Kheir (the head of the High Relief Commission). General Kheir said that the refining plant will start to function soon after he supervised the successful trial functioning of the refining plant last week. But we cannot be sure whether the plant will start to function soon. مأساة الليطاني تتوالى فصولاً والبقاعيون يصارعون الموت البطيء!